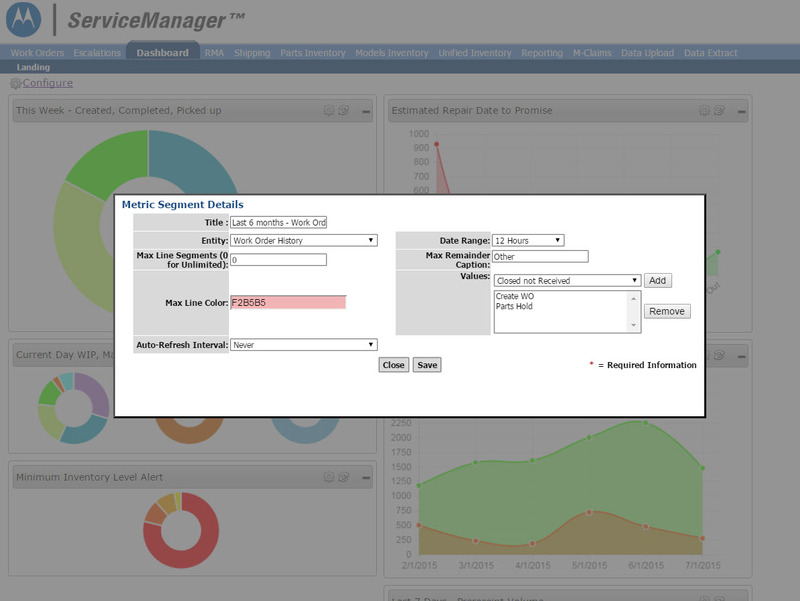 Atlanta, GA, August 25, 2015	(Newswire.com) - ServiceCentral continues to set the benchmark for business intelligence in the service management software industry, unveiling a new reporting dashboard that allows operations management and decision-makers to keep their fingers on the virtual pulse of business performance and respond in real time. 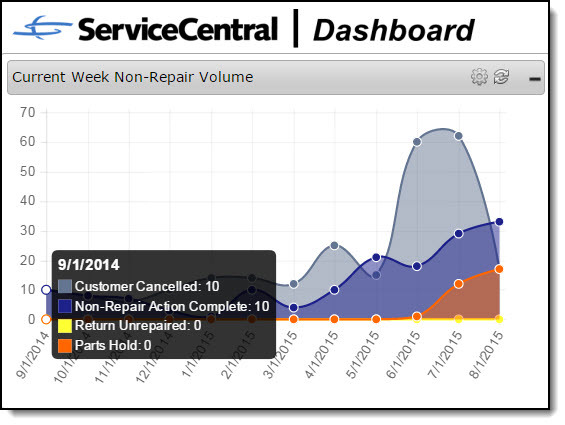 Darrell Morales, VP at ServiceCentral Technologies, sums up why the ServiceCentral Dashboard is different from other reporting dashboards and how it’s valuable to businesses, “Management level KPI dashboards usually provide backward facing metrics. We have designed a dashboard that summarizes service transactions to provide operations managers insight to the factors that influence real-time operational efficiencies." 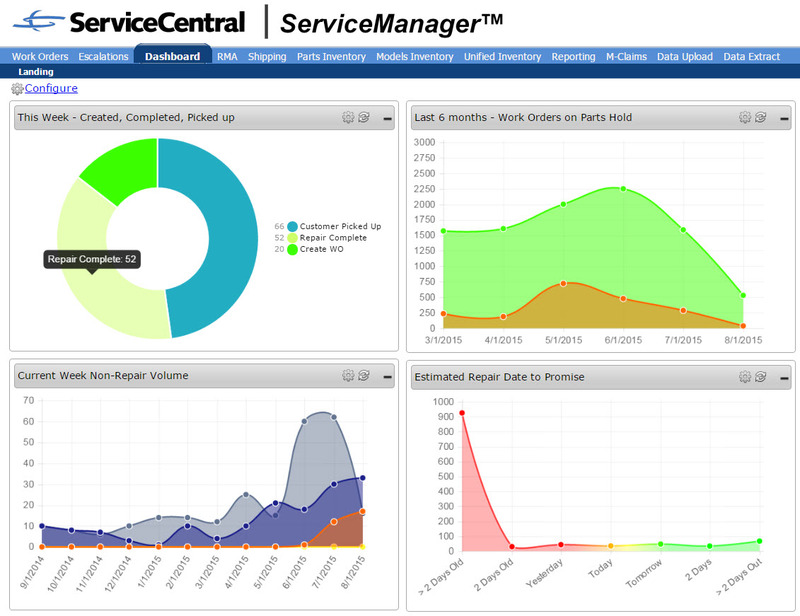 ServiceCentral’s dashboard, a new product feature offered within ServiceCentral’s Service Management Software platform, is a highly customizable and visual reporting interface that gives managers real-time visibility into key performance indicator (KPI) factors such as throughput volume, outbound shipping status, turnaround time, and technician productivity. The interface enables management to drill down within each individual factor reported in each operational graph to provide granular insight into specific data as far down as the single transaction level. Via configuration, users of the dashboard are able to customize their own views and preferred visual graphs that are pertinent to their specific needs and KPI’s.